The best low voc all natural deck stain. Made from select native oils, tree resins and minerals there are no petrochemical solvents to leach into groundwater or atmosphere and no formaldehyde based mildewcides that often drift indoors with most deck stains. The pine rosin is actually recycled from paper manufacturing and nearly all of the ingredients can be grown back forever! If petrochemicals ran out tomorrow we would still have great looking natural wood finish provided by the Earth. Rainforest has high resin content (88%), soaks deep into wood and seals and stains in one step. Just brush and roll into a thirsty wood and you will clearly see it being nourished by the dense tree resin and plant oils. It frequently covers up to 5 times as much area as a lower quality deck stain which helps save wood, money and our planet! Our commercial customers like this aspect since even if Rainforest Sealer is diluted 1:1 it still has more solids (44%) than most conventional exterior stain (typically 22-24%). Rainforest Sealer leaves wood absolutely gorgeous, with excellent wood grain illumination! Whether it's applied to a new wood or old wood that is well prepared, this natural coating is able to fortify the wood fibre cell directly and provide exceptionally long lifecycles. When maintenance is eventually needed the Minerals and Resins create our signature "petrification effect". The wood gets hard, tough and able to endure extreme weather. This is unequivocally the most sustainable way of preserving wood for centuries. We could say, "It's made from Trees for Trees!" because much of the ingredients are derived from trees. Wood loves of our natural Wood Finishes because it's essentially trees getting what trees want! Rich pine resin and dense plant oils nourish the wood fiber cell. Zinc Oxide and Borate is locked into the cell. Wood remains breathable and lively. Rainforest Sealer works by saturation of the wood fiber cell. 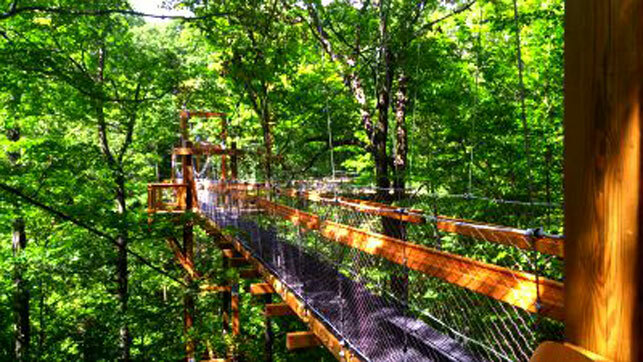 Proper prep washes the wood fiber cell clean and Rainforest infuses it with nourishment. 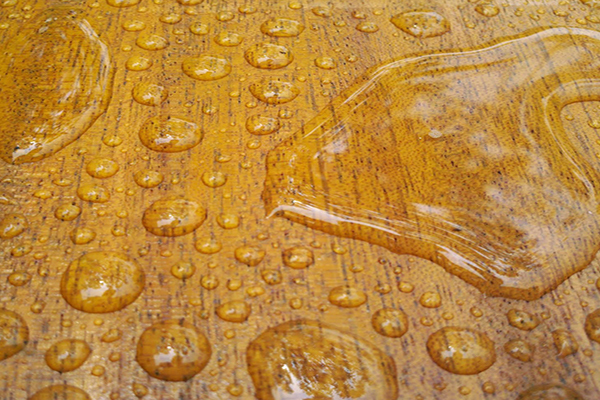 As it weathers, it hardens to a water resistant resin within the wood. The wood cell is protected yet the wood remains breathable in a very natural way. Moisture does not get trapped this way and the wood can expand and contract as it needs to naturally without harming the coating. Future maintenance will bolster the wood cell. Rainforest is dense. It doesn't wash away like a conventional stain. Some of the surface color will eventually need maintenance but the wood cell retains much of the dense resin. Each coat will enhance the previous coats performance until the point where the wood fiber cell becomes quite impervious to weathering and needs very little maintenance. First, we start by NOT feeding mold. Our tree resin is naturally resistant to mold. Regular Linseed Oil will feed mold. We don't use regular linseed oil. The oils we use are purified and filtered to remove food sources for mold. The mineral / element combination that gets stirred up from the bottom of the can is an incredible, non toxic way of helping with mold stains. This zinc oxide and borate is an inorganic mineral / element combination. We use a specific type that does not leach out in heavy rain / snowfall nor does it break down in harsh sunlight. The resins, minerals and solvents work in concert when the wood fiber cell is saturated, locking in the nourishment that the wood cell needs and keeping it there. This provides a comprehensive defense against mold stains. Keeping the surface clean with a biannual wash of Earth Clean can help prolong the life of the stain and remove dirt, pollen and leaf debris which can serve as food sources for mold. Logs and Timbers outside don't need as much maintenance as decks on the ground, but when they do, Rainforest Sealer can be easily washed. The wood fiber cell is fully saturated by Rainforest Sealer providing one of the longest lasting siding stains we have ever seen. Brush and Roll on Exterior wood. Make sure all finish has soaked in by the end of the day. Back brush with a dry brush to work deeper into the wood as needed. Apply one penetrating coat (not a film). Give the wood as much nourishment as it will take but avoid over applying. For new or non porous wood dilute with Pure Citrus Solvent so all the finish will penetrate the wood when back brushed. Just apply and then back brush after a few hours or by the end of the day. Clean up with Earth Clean and water. Full instructions are on the back label. Coverage Varies: Figure up to 700 Sft / gl on smooth yellow pine logs and up to 500 Sft / gl on new deck wood. Dry, weathered, rough or porous woods will absorb more of this natural wood finish. For example, on an old dry pressure treated deck you should figure <300 sft/ gl, which is still considerably better than a conventional deck stain. We have seen rough wood siding that was machine finished on all 6 sides with a conventional exterior stain. When they switched to Rainforest Sealer the wood not only looked better but the coverage was 5 times better. This is an extreme, worst case scenario but exemplifies the value of buying quality. At nearly five times the coverage the homeowner was delighted, especially since it was the labor for machine finishing that cost the most. *Sample pints are the best way to test coverage in advance for each specific wood type. Measure the area a sample pint covers and multiply x 8 to get the spread rate of a gallon. Our Zero Voc Colorants are made with beautiful earth oxides. These are meticulously selected for their excellent lightfast qualities. *Stains vary in appearance on different wood pieces. Sample pints are recommended for creating a completed sample in advance. Matching the woods natural color can help extend the life by limiting contrast. Selecting the right stain color significantly affects durability and appearance long term. If a lot of algae tends to grow in an area and the surface won't get washed much, then choosing Garden Sage, Forest Green or Spring Green can help mitigate green color differences. For areas with a lot of pollen, trees and dust in the air choosing an easy to clean color can make life easier. In harsh sunlight conditions select a color that will block UV radiation and reflect Infrared rays back out to space. This keeps the surface cooler, reduces global warming and prevents greying. Any of the deep brown or red tones will do this well but keep in mind that dark colors hold more heat than lighter tones. In some areas this won't matter but if there will be bare feet on a hot deck it is worth considering (especially for kids and dogs). ​Pint of White will reflect the most UV / IR rays with the least heating up. It will also show the most dirt since it's white, so rinsing the deck occasionally ought to be factored in for that color. Oak Tone Deep is a great stain to reflect UV / IR rays and prevent greying. It looks very natural yet blocks a great deal of UV / IR with fairly low heat generation. Almond is hard to resist and isn't as dark a brown. The deeper browns are the longest lasting colors in exterior wood finish along with Red Bark. Rainforest Sealer - Honey, topcoated with Mountain XT Clear 00 on Mahogany decking. Rainforest Sealer is the first coat in this system. It provides a flexible tether for Mountain XT Clear 00 to bond to. This is part of the secret to creating a multi coat system that can endure harsh climates. For the best, longest lasting exterior wood finish apply a clear top coat of Mountain XT over Rainforest. This is an extremely durable, long lasting multi-coat system. It is the only system of its kind and was engineered to endure harsh conditions. Lime Clean is indispensable to prep woods with high extractive content. ​Wood maintained with The Clear 00 System does not turn grey. This allows the woods natural beauty to shine through with amazing wood grain illumination. If clear is not the desired look the first coat can also be a stain color, for example, Honey is pictured here on mahogany decking. For areas that have high humidity, shade and a lot of black mold problems, a topcoat Rainforest with Mountain XT is an excellent choice. The natural cashew resin used in XT is superior to any deck stain biocide we have seen thus far and creates a surface that black mold stains and algae stains can be washed off of every spring. We use Earth Clean to wash the house exterior. ​Stain with one coat of Rainforest Sealer. Due to the high rate of expansion and contraction of the lower grade woods that are often selected for pressure treatment, we avoid using The Clear 00 System on Pressure Treated decks unless they are well weathered and in the shade. Certain types of pressure treating and Heat Treated woods are made with higher grade selections of wood. These are generally good candidates for the Clear 00 System but a test area is recommended for a year before coating the entire deck.